The Ocean County criminal attorneys at Law Offices of Jonathan F. Marshall have earned a solid reputation in defending drug distribution charges over the last several decades. 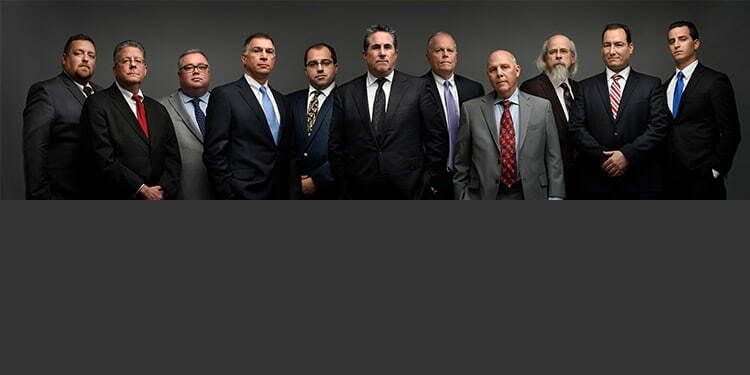 The lawyers that make up our eight member defense team possess over 100 years of experience representing clients charged with distributing, selling and possession with intent to distribute almost every variety of controlled dangerous substance ("cds"). It is extremely important that you retain an attorney with a high level of knowledge and skill in distribution offenses as the penalties imposed for these activities are severe in New Jersey. The Toms River Office of Law Offices of Jonathan F. Marshall possesses the level of qualification you need to insure maximum protection. Our partners and associates are extremely familiar with the court system in Ocean County and have even served as prosecutors in Toms River, Brick, Jackson, Manchester, Berkeley and elsewhere in the region. A lawyer is available at 732-286-6500 to answer your questions and to discuss your best options for handling your distribution case. The vast majority of charges for distributing CDS arise out of N.J.S.A. 2C:35-5. This law makes it a third degree, second degree or first degree crime to distribute or sell a Schedule I form of cds including heroin, cocaine and MDMA. Where a particular case for distribution of drugs falls within this grading hinges on the quantity involved. The chart that follows outlines the penalties that apply under 2C:35-5 for distributing this category of cds. If an individual distributes marijuana of a quantity of 25 lbs. or more, or 50 or more marijuana plants, he or she is guilty of a crime in the first degree and faces up to 20 years in prison and a fine of up to $300,000. It is a second degree crime to distribute at least five pounds but less than 25 pounds of marijuana. The penalties for second degree marijuana distribution include 5-10 years in prison and a fine that can reach $150,000. If the quantity is at least one ounce but less than 5 lbs. of marijuana, it is a third degree offense, carrying up to 5 years of imprisonment and a fine of up to $25,000. If the quantity is less than one ounce, fourth degree distribution arises. This grade of marijuana distribution results in up to 18 months in jail and a $25,000 fine. If you or someone you know has been charged with a drug distribution offense in Ocean County, a lawyer from our office can help you avoid these tough penalties. Our attorneys are fully knowledgeable of drug distribution charges and can have your charged dismissed or downgraded. We have successfully defended drug distribution charges for individuals throughout Ocean County and have earned a reputation as tough criminal attorneys. Our legal team includes Matthew Dorry who is a former prosecutor in Barnegat, Beach Haven, Beachwood, Brick Town, Harvey Cedars, Long Beach, Mantoloking, Plumsted, Point Pleasant Beach, Ship Bottom, Toms River, Tuckerton, Little Egg Harbor, Stafford Township, Eagleswood Township, Lacey Township and Surf City. We certainly have extensive knowledge and experience defending possession with intent to distribute charges in Ocean County and are ready to assist you so that the very best result in your matter can be achieved. Contact our Toms River Office at (732) 286-6500 to speak to a knowledgeable attorney immediately.